Jakarta. 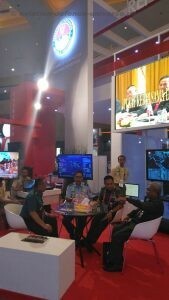 The Indonesia’s Tri-Service Defence event being held at Jakarta International Expo Kemayoran, Indonesia, hosted by the Ministry of Defence, INDO DEFENCE 2018 Expo & Forum is the cynosure of all eyes. In the Asia-Pacific region Indonesia is one of the nations that are expected to show a significant growth in the defence budget. 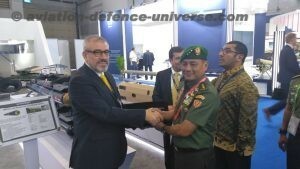 Indonesia will have the fastest growing defence budget in the Asia-Pacific region over the next two years. Indonesia’s defence budget is expected to grow at 14 percent a year until the end of the decade (average annual growth). Overall, Indonesian defence expenditure would pass IDR 180 trillion ($14.3 billion) annually by 2020. Indo Defence 2018 is a focused event covering the complete spectrum of this sector, which includes Airborne, Land Based & Sea Based Platforms Systems & Equipments; Command, Control, Communication & Information and lots more. 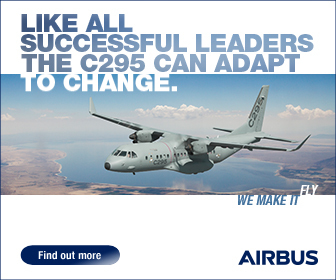 It is bringing together key decision makers from the various defence authorities and companies in the region. 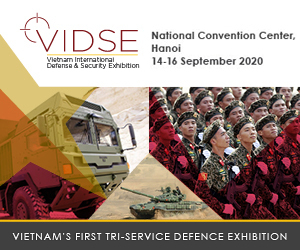 Indo Defence 2018 is perfectly timed to take full advantage of the business opportunities arising from the increase in budgets allocated for defence project. Total Industry support from Indonesian authorities, institutions and international publications. A seminar on the theme of ensuring regional stability through cooperation on counter terrorism was organized as a part of the show. Terrorism Prevention, Capacity Building on Counter Terrorism, Building Cooperation on Counter Terrorism and Technology Innovation To Counter Terrorism were some of the topics brainstormed. Asia Pacific is currently a strategic area because it covers the Area in the Indian Ocean and Pacific Ocean Circles which is currently the Global Economy’s center of gravity because of the rapid economic growth in the Region which has an impact on increasing trade volume, population, and the integration of one country with another in globalization framework. This is not only a strategic advantage for every country in this region because it can be an influential country to take advantage of the shift of the center of the world economic flow, but also at the same time become a challenge that must be prepared and faced because the shift in Center of Gravity (CoG) in the region will also bring threats separately, especially threats in the field of defense and security. Until now, at least there has been a real threat in the field of defense and security in the region that needs to be resolved immediately in the transnational scope, such as the threat of radical terrorism that is transnational in nature and has networks and activities that are widespread and closed so that it requires collective handling through collaboration agencies and ongoing interactions between countries. In response to this phenomenon, it can be concluded that there is currently a shift in the form of threats in the field of defense and security where initially the threat was traditional threats in the form of military threats / invasion by other countries to certain countries to become non-traditional threats with non-state elements being the main threat. Industry is represented from a really varied portfolios. 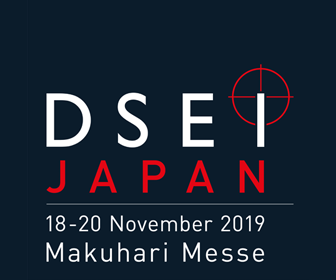 Airborne Platform System & Equipment, Airborn Development Systems, Flight Navigation Systems, Helicopter Systems, RPV, Drone Systems, Military Aircrafts with both regional and global players are attending the show. From the Arms & Ammunitions industry Ammunitions, Anti-Tank Weapons, Explosives, Grenade Launchers, Mortars, Pyrotechnic Ignitors/ Detonators and Weapons are exhibiting and demonstrating their products. Command, Control, Communications and Information with Communication Security Systems and Equipments, Counter Measures, Data Handling, Data Links, Electronic Equipment, Electronic Security Systems, Electronic Warfare, Radio Equipment, Simulation Systems and Training/ Design Consultancy also see a good participation in the event along with Risk Analysis and Control, Training Schools and Training Systems. Companies manufacturing Electronic Systems like Antennas, GSM Jamming, Mobile Communications, Radars, Radio Telecommunications Transmission, Satelite Transmission, Surveillance & Access Control and Transmitters/ Receivers are displaying their wares for the visiting customers. Another growing arena which is of Apparels saw major exhibits like, Bullet Proof Protection, Facial Protection, Footwear, Gas Masks, Helmets and Protective Clothing specially Uniforms. In the tomes of internal threats a growing homeland security market are visible with a variety of Internal Security Equipment like Anti-Riot, Crowd Control, Detection Police Equipment and Explosive Disposal Equipment. 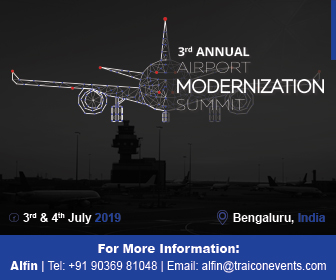 Land Based Platforms for Air Traffic Control Equipment, Airfield Equipment, Ambulances, Anti-Aircraft vehicles, Armoured Vehicles, Bridging Vehicles, Logistic/ Cargo Vehicles, Personnel Carriers, Tanks, Transporters and Weapons Carriers are fully represented. Sea Based Platforms & Equipment are not to be left behind and Amphibious vehicles, Coastguard/ Customs/ Police Mission Support Ships, Ships/ Landing Carfts, Submarine, Submersible Systems & Equipment, Warships, Craft & Systems were displayed for the market. Research & Development this year saw a major section and universities and research labs projected their research works and existing projects by various governments and industry. 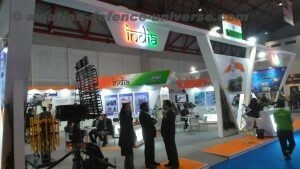 Indo Defence 2018 is focused event covering the complete spectrum of this sector, which includes Airborne, Land Based & Sea Based Platforms Systems & Equipments; Command, Control, Communication & Information and etc. 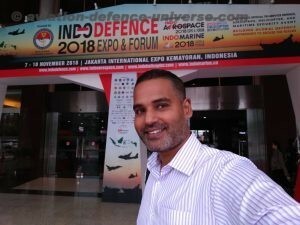 Indo Defence 2018 has got together key decision makers from the various defence authorities and companies in the region. Indo Defence 2018 is also targeted at hundreds of senior officer, from the provinces in Indonesia.It is perfectly timed to take full advantage of the business opportunities arising from the increase in budgets allocated for defence project.